Oh, yes! I hate this! It is revolting! 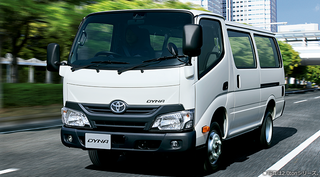 As far as I can tell, Toyota took the Dyna truck (which, I think we get in wide body form as the Hino 155 and 195 - this is the narrow body version, though), and mated it to a 1989-2004 HiAce body.